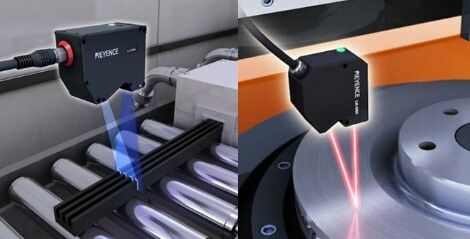 The laser beam is directed at the sample to be inspected. The light reflected by the sample is collected by the receiver lens and reproduced on the light-receiving element. If the distance changes, the collected light is reflected at a different angle and the position of the beam spot on the light-receiving element changes accordingly.